There are people that expose liberal political leanings that cry out for separation of church and government especially when is convenient in aiding their candidate’s election. Last week John McCain surprised the world by choosing a woman as his pick for Vice-President and running mate. I can only imagine that very soon the tides will turn when the liberal populace discovers that Governor Sarah Palin is affiliated with the Assembly of God Church. Yep, the outspoken, tongue-speakin’, laying-on-of-hands, oil-anointin’, Bible-believin’, infallible Word of God preachin’, born-again, that’s what I’m talkin’ about Assembly of God Church. What is even worse is that Palin and her family now attend a church that is, gasp!...non-denominational. 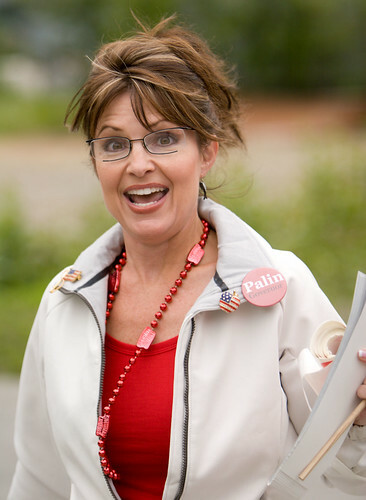 "The initial confusion surrounding Palin's denominational identity, therefore, has a simple explanation: She doesn't have one. Instead, Palin appears to be part of that rapidly expanding galaxy of "post-denominational" Christianity, where elements of Evangelical and Pentecostal styles of faith and worship fuse into a myriad of unique local combinations, and where old denominational loyalties are essentially dead. " This apparently is great news for both Conservatives and Liberals. Conservatives were running scared, thinking that McCain would chose someone who was anti-Pro-life, thus causing a dilemma in the voting booth. Liberals now have a brand new shiny ax to grind since they not only distain Pro-lifers, but do not like those outspoken conservative Christians very much. This brings up the question, when candidate Palin is critized for her religious ties, do you think those same vocal Liberals will be concerned about Separation of Church and State?